It's a fairly rare thing for the EvilSponge crew to have a split night with live shows. Usually, PostLibyan and I toddle out together, see a few bands, make a few comments, and listen to music. However, on this steamy Friday evening, it turned out that there were two Atlanta shows that caught our interest. So, since he's a big fan of Landing and I'm a huge fan of Austin's The Octopus Project, after dinner, we went our separate ways. The unfortunate side effect of this split is that PostLibyan is EvilSponge's official photographer. Me? I can't take pictures at all. Luckily, I met up with non-minion affiliates Jon & Becky, who graciously agreed to take photos of this concert. Phew. Anyone's photography skills are way better than mine. Shortly after I got to the humid Drunken Unicorn, as expected, the first band took the stage. This was Jeffrey Butzer & The Bicycle Eaters. Usually, according to Mr. Butzer, the band is 5-7 folks playing music behind vocalist Cassi Coustoulas. However, on this evening, it was just Ms. Coustoulas and Mr. Butzer, who played primarily keys and drums along with various other little instrumental effects (including a tiny tinkly kids piano). The music worked well in its stripped down form. 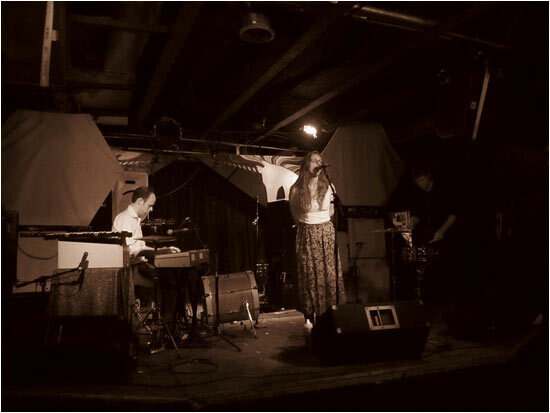 With the melancholy keyboards, and airy French vocals, the sounds evoked a combination of a new wave French coffeehouse with a side of early 20th century British music hall/vaudeville (we're talking Gracie Fields, here). The upbeat tunes featured more intricate keyboard playing whist the slower songs had in a general a more dramatic yet more pastoral feel. All in all, it was a really nice set which showed off Butzer's composition skills, something that is often overlooked considering he's best known in Atlanta as the person behind the yearly Charlie Brown Christmas show. After a fairly quick changeover, it was time for The Purkinje Shift. 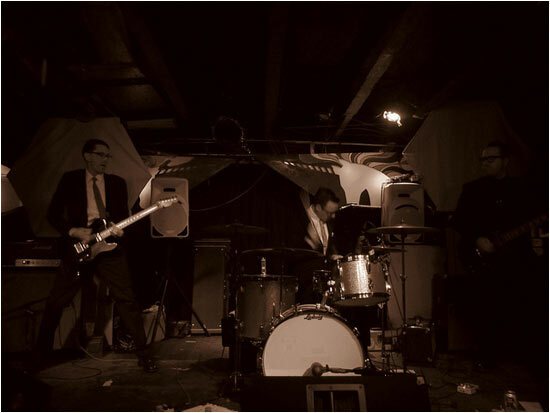 As I waited for what PostLibyan and I have jokingly termed the "Ben & Gary Show" (after the two guitarists: Ben Davis and Gary Flom), I pondered the fact that The Purkinje Shift are the extant local band who I've been listening to the longest. Sure, they took a severe hiatus in the middle of the years I've known them, but once they returned, it was like they never left, business suits and all. 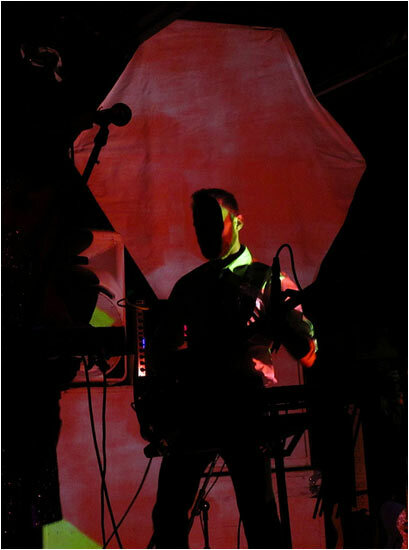 I never know how to exactly describe The Purkinje Shift's music. It's a compelling and intricate instrumental math rock that bounces along the border of improvisational jazz. The time signatures shifted and change throughout their set, driven by the drumming, making the music a bit off-putting to people who just wanted to dance (i.e. a significant portion of the crowd who only came to see The Octopus Project). The two guitarists changed musical leads throughout the set, and at times, they would both play distinct melodies which would then crash together in crescendos. To me, this is music which engages my brain as I try to focus and pull apart the component parts. And it's wonderful. 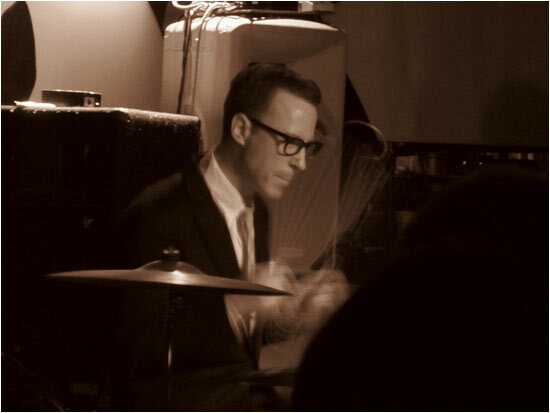 Really nice shot of Purkinje's drummer. And drummers are hard to photograph! Totally awake after listening to The Purkinje Shift, I used the interlude before The Octopus Project took the stage to get out of that Purkinje Shift headspace and ponder The Octopus Project. My first experience with them was some 10 years ago when they released their first album, Identification Parade. 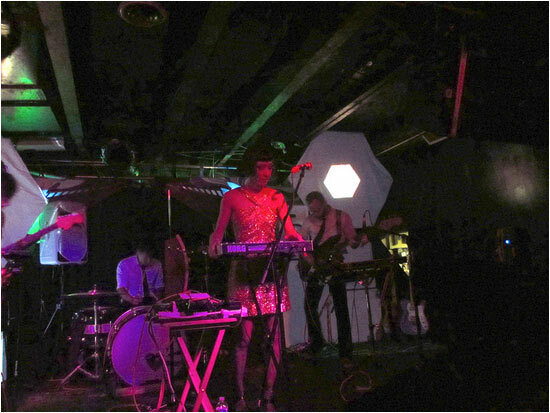 About the same time, we saw them play Atlanta to a near-empty Echo Lounge and the energy and ferocity of their live shows (along with the incredibly danceable beats) captivated me. I've seen the original core three folks (Toto Miranda, Josh Lambert, Yvonne Lambert) play numerous times; however I don't think I've seen them since Ryan Figg joined the band. 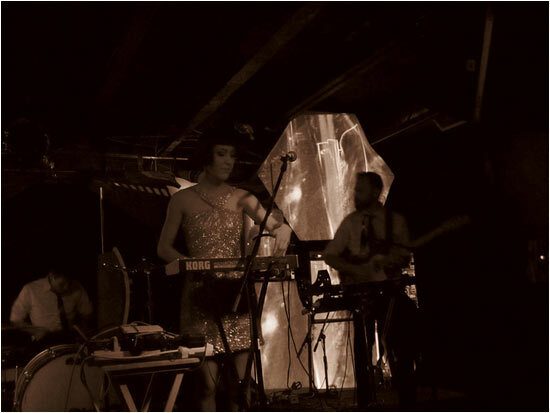 Nevertheless, The Octopus Project are one of my favorite live acts and have been for a long time. On this evening, once the band took the stage, the music was loud and fast, as it always is, with Miranda and Josh Lambert alternating the fundamental drumming bits more frequently than I recall. I suspect this is because, on a few of the newer songs, Miranda and Yvonne Lambert both sang, which is a relatively new development for the mostly instrumental band. 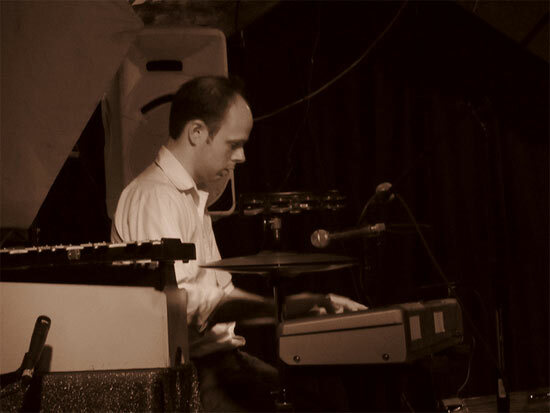 Throughout it all, all four musicians alternated instruments, although Yvonne Lambert stayed primarily with her keyboard and ever-present Theremin, which is a signature Octopus Project sound. 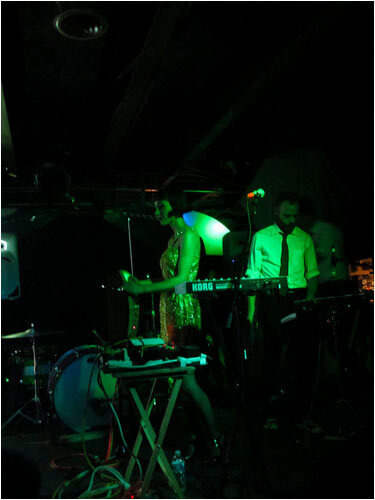 Unfortunately, the mix at The Drunken Unicorn was very low-end heavy, which made the guitar work a little muddy and the Theremin a little less than pitch-perfect. 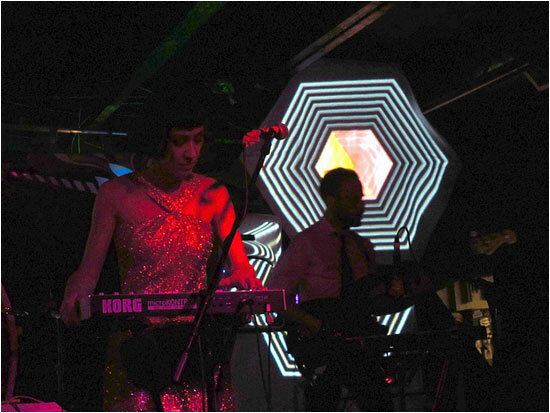 After an hour long set, The Octopus Project wrapped up and we spilled out into the hot humid Atlanta evening. As we drove home, I thought back over the evening and realized how good the music was, even if the bill had seemed a bit random at first. All three groups played great sets with intricate music, which lent itself to a wonderful evening.